I had the pleasure to attend the 5th annual service innovation and design seminar at Laurea Leppävaara 14th March 2013. This post is a part of Current Topics course unit. Building brands together –theory and practice from Nicholas Ind and Nick Coates. The speech was partially based on the book; Brand Together by Nicholas Ind, Clare Fuller and Charles Trevall. The book is about co-creation and relationships with consumers. – Build trust within a community. The second part of the first keynote speech was held by Nick Coates, who is a consultant at Promise. (http://www.promisecorp.com) Nick gave a very practical speech about the practice of co-creation. Nick presented a few case examples of service co-creation, including cases from McDonald’s, Orange, and a luxury hotel. – Co-creation; involving customers, stakeholders to create winning insights, ideas, and strategies. Second keynote speech by Karan Shah, founder of Grow-Trees, an initiative for socially aware companies that wishes to have a “green image” Karan presented his company and business idea behind it. – Companies can plant trees in rural parts of India to develop their image and help to reduce deforestation in India. – Green companies have higher stock value and better image on the job market that other companies. For the first workshop, I participated in Palmu’s workshop about a service case simulation. If you want to know more about the tool, you can check it out at https://simulator.palmu.fi. Mr Kouhala started the session with his presentation about municipalities’ value creation and the interface between privately owned companies and governmental, public institutions. – Are there tools to manage the change within private and public companies information interface? – Interfaces à A private company can create value to public sector by offering services/products. This is obvious. – Value point: For example food safety, What is the value in food safety inspections? Safety for citizens. – Managing the win win win interface between private companies, customers and public companies. – There should be constant innovation process going on in operation functions of municipalities. 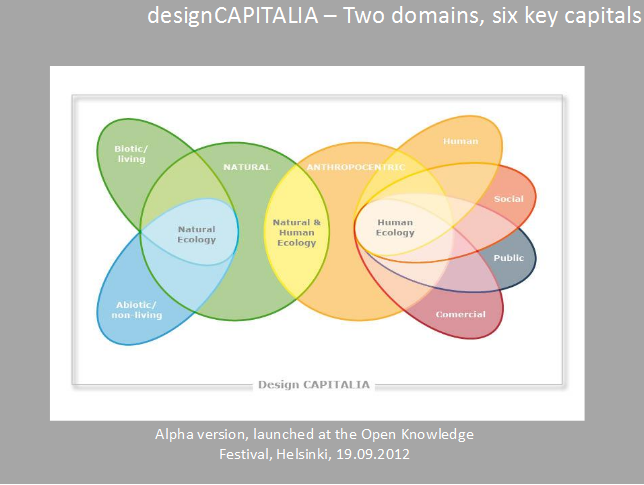 Orientation and measurement of value by applying the design CAPITALIA framework. Alastair is a professor of practice, emerging design practices at Aalto University. – Service economy has been around for a long time but we still struggle to design services. 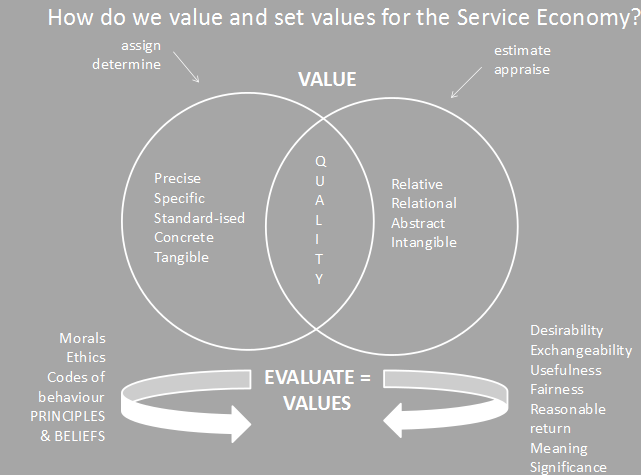 – How do we value and set value in service economy? 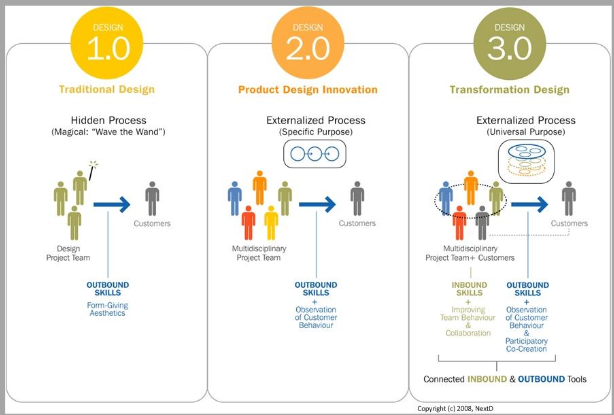 – We need to move from “traditional” way of developing/designing services to “transformation” design. Alastair showed a few interesting examples of co-design, for example The People’s Supermarket, which is a grocery store chain in the UK that “use” consumers as employees and volunteers to help in operating the stores. More info at http://www.thepeoplessupermarket.org/. All in all, a very comprehensive presentation from Alastair about co-design with interesting examples. As always, the presentation consisted of a vast amount of information and too littel time. –> Reaching the bodies not the soul! – Big data will help us to predict the change that’s happening around us. The 5th service innovation and design seminar consisted of keynote speeches and workshops of various subjects. In my mind the keynote speakers maybe promoted their own work a bit too much and presented a lot of examples that were just briefly explained. It is not always better to have numerous keynote speakers to present their case but maybe to have just a few world classa speakers. The most rewarding session for me was Palmu Inc.’s service busines case simulation. The session was set up very professionally and people at Palmu sure know their case. I also liked the fact that within their business simulator hard numbers (monetary value of the changes in service process) are presented in a very clear way. A lot ot the times service design is being seen as a very abstractive process with little or no clear signals of how it is going to affect the business. We as service design practitioners, need to convince the senior management to give a “green” light to our methods and work, what a better way than to show it in euros/dollars.